"Extremely intuitive iPad POS system that keeps open bar tabs!" Extremely intuitive and easy to use; easy to train new staff members on. Easy to open/close tabs. Easy to add new terminals. Offline mode has been vital to us when we have ISP issues -- everyone can keep moving and our business does not stop. Finding a nice looking interface with decent reporting that also kept open tabs (such a simple thing -- but many systems are retail focused) was actually pretty difficult. Can't discount single items. When comping items, there is no tax accounted for, and no tip option. I wish there was an option for some kind of ongoing trade account that we could reconcile (tipped/taxed). When our iPads die, it's a pretty expensive fix. We jumped on early in Breadcrumb's infancy and now our iPad stands/swipers are no longer made, so we are forced to upgrade. You must subscribe to Upserve Pro for the EMV reader to work--so if that's an issue, it becomes expensive. So far it has not been a dealbreaker with us, but may become an issue in the future. Breadcrumb helped us become more efficient with our merchandise inventory. We are able to track comps effectively and eliminate a lot of the giveaways that were happening. There is server accountability. We no longer come to a complete stop when the internet goes down! Thank you so much for your feedback. We’re happy to hear you find Breadcrumb POS by Upserve easy to use and very intuitive. Offline mode was definitely one of our proudest features to roll out, and we’re glad it’s working well there. We understand how frustrating it is as technology continues to grow at an extremely fast rate. We do have swipers still available on our online store for the earlier iPad models, and stands for those models could be found through 3rd party sources. We strive to improve our product and services here at Upserve, and we greatly appreciate your honest feedback. We truly value your business as a customer of Breadcrumb POS by Upserve. Breadcrumb is very easy to use and easy to teach. It was a breeze for the staff to become accustomed and then efficient with it. All the setup is very easy as well. As for back end/reporting, it is adequate especially for the price and as compared to most other iPad based POS systems. Over the 2.5 years we've been using it, we've had a lot of ups and downs. Initially, we loved Breadcrumb, then there was a several month phase where it went offline way too often plus various other errors in reporting and sales numbers. In general, Support was awful--hard or impossible to get a hold of, and usually unhelpful. We almost switched to another POS. However, this past year things seem to be a bit better. Breadcrumb still could use some improvements in functionality, and Support still isn't perfect, but it appears that Upserve has improved things overall. If you're looking for an inexpensive, easy-to-use POS for iPad, this is the best one we found. Back-end/reporting is adequate and certainly better than most of it's kind. Hopefully the acquisition by Upserve will continue in a positive direction. Just POS stuff really. The major benefits are ease of use and training. Thank you for your review and thank you for being a valued customer as we continue to grow and improve. We're pleased to hear that you have seen improvements after the acquisition of Breadcrumb and would like you to know that your dedicated account manager will be reaching out to hear about some of the feature improvements that you think would be beneficial to Breadcrumb. Thanks again for your review and we hope you have a great holiday season. Back office has a lot of great features and insights. Very easy to understand and hand over to accountant for end of year tax purposes. Very tedious to modify menu items and prices and add on to the menu screen. Not convenient for fast service places and my version did not have the option to sign in the iPad it self it had to print out a receipt and was inconvenient when guest just wanted coffee to go. If your a restaurant and want to facilitate your end of day and end of month sales this system is great. If you have more than 2 employees it will keep track of hours and the sales each employee made. Not recommend to small cafes. End of month sales are a breeze it basically does all the accounting for you. And keeps employee hours in record. They are able to clock in and out very easily and the dual position available to the same employee was a great add on. They are able to use the same code to clock in for 2 different positions. Hi Erica - Thank you for your review. We are glad you enjoy our back office features and find them to be very insightful. Your account is a priority to us and your account manager is looking forward to a call to discuss areas of improvement when it comes to quick service establishments. Thanks again for your review and have a great holiday season. We like that the system is very easy to use. Very intuitive, and requires minimal training. Reports are great, although sometimes limited. We like the offline mode. This has improved a lot since the first time we used it. We like the Breadcrumb Live app, gives us info we need to run the restaurant easier. System reliability has been getting a lot better. We don't like the poor customer service we get from the company. We have opened cases and we get no response at all, we have to call and check on the status of the cases and they haven't been reviewed by the account manager or support people. We don't like the lack of hardware options and functions. We need more swipers, more mounts, etc... that we can choose from. We need more flexible reporting. Updates with functionality changes take forever or never come. this is the first time we have been asked to give feedback about the product. You need to contact people from small business that are willing to help you to make this product better. When I read the "cases" you post online, it is always from a NYC or San Fransisco restaurant. reach out to other markets. Please. For now it works and has solved many issues for us. Hi Alex - Thank you for your review. It’s customers like you that help us continue to grow and improve. We're glad you enjoy the usability and functionality of the Breadcrumb system and it's especially nice to hear that you can see us working hard to improve the product! We also understand our support team still has room for improvement – we're very aware of this and are making changes everyday to grow and appreciate your feedback. If you ever have questions on how to utilize our product, please feel free to reach out directly to your dedicated account manager with any questions. The Account Success team is growing here as well, which should enable us to give better attention to our businesses. Thanks again for your review and feedback! User friendly interface. Responsive tech support when I've needed them. I like the timesheet tracking. I like that it's possible to track inventory cost, though I don't put that in accurately, since many of my items are "copied" from old items so this number is inaccurate. Recent server issue cost us $ (but they are very responsible and will compensate). The system sometimes is clunky. I wish I could remove old inventory easily. My staff and I get confused between the differences of "course" and "category" and "display groups". The system has been having some problems going into offline mode recently. The benefit over not having a POS is obvious. The benefit over other POS systems? I'm unsure as Breadcrumb is the only restaurant POS I have ever used. "Great POS System App for Small Businesses"
What I like best about Breadcrumb is the ease of use and the aesthetic properties that make it stand out. Everything is clear and clutter-free. The only thing about Breadcrumb that I dislike would be that you cannot edit employee profiles on the app itself. My recommendations to others using Breadcrumb would be to be patient with it when you first start out; it can take a little getting used to since it's different than other POS apps, but it's worth it! It's a great app. Some of the benefits of using Breadcumb have been that customers are more likely to leave a tip when paying with a credit card since that is an option. "Breadcrumb is a professional, easy to use, change information without a hassle!" Data capture makes my "accounting" brain relax! I spend WAY less time deciphering didn't categories of information for different needs.. ie.. tax accounting, tracking sales, etc. Hi Patty - Thank you for your review and follow-up with your account manager via email. Sorry that you missed each other, but we understand that things come up during the day! We'd like the opportunity to keep your business so Bobby will continue to follow up and ensure that we address your needs and clarify any miscommunication that occurred. We appreciate your business and will do whatever we can to ensure you are happy with the product and support you and your business operations. Here's to a wonderful holiday season! "Rough start, easy to use, time will tell"
Transition from old ownership to new was a nightmare. Working off spreadsheets & missing deposits. It is very user friendly. From management standpoint the reports are easy to read with all the info you need. You can't split items on a check. Making separate checks for a large party is a bit of a hassle. Too many steps to make this an easy fast transaction. The auto goat is before tax and you can't change it. Programming for the menus is a bit tedious with unnecessary info required. You have to go back to the main menu page every time you make one change. It should be easier to navigate through than it is. Also having an internet based system is at times unreliable, if the system goes down the POS is still supposed to run smoothly but it doesn't. It's a good system. It is not perfect but it is better than average. Trying to improve business by driving sales and increasing business volume. The old Breadcrumb had an app for your phone where you could access real time sales data from anywhere. That was my favorite. I don't know why the new Breadcrumb didn't continue to utilize this valuable app. Thank you for leaving us a review and we appreciate you taking the time to do so! We're glad you find the system user friendly but also hear some of the concerns you're having regarding splitting items, programming menus, etc. For any questions related to your menu or functionality of the system, I encourage you to reach out to your dedicated account manager who can help answer any questions you might have. We also have a 24/7/365 support line, who can help point you in the right direction. Lastly, we do have a mobile app that allows you to see what's going on in your restaurant even if you're not there! This is a feature of our Smart Management Assistant, which you can learn more about through your account manager. If you'd prefer, please feel free to respond to this message with your name and restaurant name, and I can find out who your account manager is. Thanks and we look forward to our continued partnership! "User friendly, relatively accessible customer support." Breadcrumb as a POS is very easy to use for servers and bartenders, as well easy to program new and changed items. It is easy to use when tracking hours or locating old checks to reference or email to the guest. Phone support is available 24/7, and most customer service reps are fluid in helping fix the problem. The only support offered is over the phone, there is no tech support that can come out and physically help you with any hardware issues. Certain basic and necessary pieces of hardware are marked up incredibly high based on what they cost at any other computer retailer. Just know that the system itself is relatively inexpensive compared to Aloha or Micros, however they will charge you for every small piece that you also need to be fully functional. There is no function print out an item sales report or Product Mix directly from the POS terminal (similarly as the servers print out their reports), there is also considerable lag time on getting an accurate report on busy nights. It's very helpful in tracking items sold over the course of ANY period of time. As well, tracking holiday sales and specific items on certain days to plan for the future. Hi there and thank you for your review. We're glad to hear you find the system easy to use and that you've had good experiences with our customer support lines. It's always great to hear this kind of positive feedback and we will pass the word on to our support team. We also hear your concern regarding support that can physically be at your location for any hardware issues. We understand and will bring this feedback to our team as well. It's this type of feedback that helps us grow and continue to improve the customer experience. Feel free to reach out to your dedicated account manager to ensure you're using all that the product has to offer, and more. I should add a caveat: we are a small restaurant using only one breadrcumb ipad terminal. I am not sure how well breadcrumb works for larger restaurants. For small restaurants like ours it was a perfect fit from the beginning. 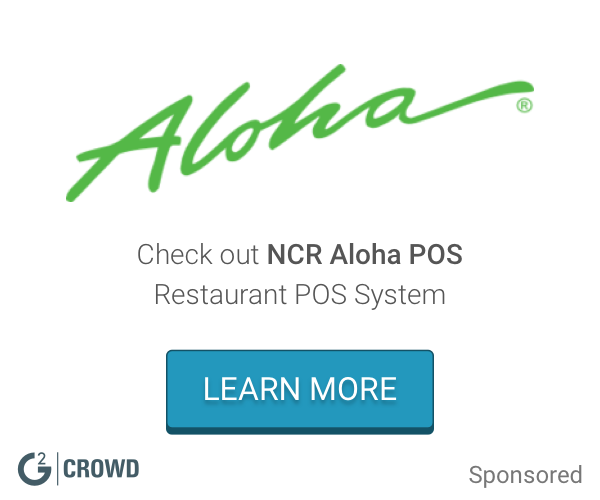 Buying an ipad and installing an app, was far less expensive than traditional restaurant POS systems like Aloha. It was initially developed by people in the industry so we all found it very intuitive to use, very little training involved to this day with new front of house staff members. The regular updates to the software have consistently made it more robust and with better functionality. I like ease of use, price point and functionality best. I think the next logical step for Breadcrumb would be to incorporate a reservation system to the POS or to have open table or something similar integrate with it. There have been a few times where updates have caused issues, but this has happened to us rarely. The biggest issue we has was before the offline mode was introduced. If our internet went down we were back to writing paper checks and not able to accept credit cards. With offline mode, all of that was fixed. Highly recommended, there is a little bit of a learning curve but wonderful restaurant software. I do not make as much use as I could of tracking inventory, net profit and employee tracking functionality, but we are a small business and these tools are more likely more useful to larger restaurants. Once we started using breadcrumb instead of being a s cash only restaurant, we were able to increase our price point. Hi there - Thank you so much for your review! We are glad to hear that the Breadcrumb set up and ease-of-use have been positive experiences at your restaurant! We're always looking for customer feedback that will continue to help us grow and develop our product, so thank you. If you have any questions about how to track your inventory, please don't hesitate to reach out to your dedicated account manager. In addition, our 24x7x365 support is always available when you need it! Happy Holidays! Recently began using upserve. Was my first time using this system and I was very happy at how easy it has been to learn to use! and I love how easy it is manage remotely from the website and the app for monitoring sales/activity is great too! Upserve is easy to use and helps you track important costs. I dont like that tickets will duplicate and or re-fire during certain circumstances. We are able to keep better track of our labor costs at a real time rate. Mobile access has been great and is fast and easy to use.. Cloud based data makes working anywhere easy. The ease of inputting new product or editing existing product is great. While it has improved in the last year, outage issues were a problem for quite awhile. Would love to see it geared toward bars a bit more, especially ion regards to inventory. Tracking sales in real times, updating product inventory easily and accurately. Solving issues from offsite with ease and speed has been key as well. Tracking employees time and impact on sales. "Positive Review for Breadcrumb POS"
We like the ease of day to day operations. We have had pretty good experience in offline mode. Our other POS, at our other location, struggles to function in offline mode. That you can't split items on a check easily; for example a 4 top wants to split a bottle of wine. You're unable to split a single menu item between checks without splitting the whole check evenly. I also don't like that Breadcrumb doesn't sort a ticket by seat number. This slows the server down when ringing in a ticket by seat number with multiple courses. Breadcrumb function pretty well in offline mode. We've experienced a handful of major power outages in which it struggled upon power return. But, for the most part, works well. Hi there - Thank you for leaving us a review and for your candid feedback. It's customers like you that help us to continue to improve and grow our product. We're glad you find that Breadcrumb helps with your day to day operations and that your experience during power outages has been better than anticipated, with the ability to process offline. We're sorry to hear about the difficulties with splitting a single item and with the inability to sort a ticket by seat number. We area always looking to continue to improve the product, so your feedback is appreciated. Thanks again for leaving us a review and we look forward to our continued partnership! With Upserve, it is a reliable, honest company with a solid POS system. I haven't used too many POS systems in the past, but this one works well. I don't have a lot of experience with other POS systems, but Upserve has been great for us. It is really hard to say, but I do like the ease of use and intuitive nature of their POS system. "First time user in the restaurant business "
I find The convenience and ease to learn how to use this program quite well. I often used cheap pos systems or square pos in the past, but breadcrumb is quite convenient for customer seating, serving, and payment as well as for tracking employee hours. I havent Had major issues yet. It seems reasonably convenient. Sometimes printing orders is delayed or for some reason doesn’t come out, but this doesn’t happen too often. It provides a simple way for different parts of the establishment to communicate on orders and stocks while also being a tool to track work hours and responsibilities. "Cool and easy to use but has its drawbacks"
It's easy to use and has a nice interface. It only works on the Apple platform. Many of my employees have Android devices. Also, Apple devices are expensive, unreliable and are expensive to maintain and repair. The equipment also has broken for us rather frequently. We have had to replace multiple components more than expected and we are not particularly high volume. The cost is also high considering our volume. I do not like a licensing-type pricing structure and would rather pay one time if the company will not warrant the components during our use. It's an intelligent cash register but it really only works well for a fast food type restaurant. Hi there and thanks for leaving us a review. We appreciate the feedback and understand some of your concerns regarding the Apple integration and the components you need to run an efficient operation at a high volume. We are continuing to take our customer feedback to help improve the product and improve the customer experience, and we'll be sure to bring this to our product team. In the meantime, please feel free to reach out to your dedicated account manager for help with any questions you have or reach our 24x7x365 support line. Thanks again for your review and we hope you have a great holiday season. "Simple, stable and outstanding reporting"
Setting up specials is cumbersome. You have to reload all the beers you are putting on special for happy hour as apposed to just coding a set time frame price change. Stability. Doesn't crash and don't have to be a computer expert to work it . The insightful reporting as well makes for easier decisions. Hi Brenton - Thank you for your review. It’s customers like you that help us continue to grow and improve. We’re glad you enjoy our insightful reporting. Your account manager let me know that it was a pleasure speaking with you as well. On your next scheduled call, you will be going over an option that will make it less cumbersome to create a special. If you ever have more questions on how to utilize our product , please reach out to your dedicated account manager. We also have 24x7x365 support team who is available to answer your questions. Thanks and have a great holiday season. "We like Breadcrumb for being intuitive but have problems with service outtages." It's really easy to use. The interface is really simple and a new server can easily guess how to do things like delete an item without asking a manager how. Tech support could be better and we have had problems with the iPads staying connected to our wifi/the iPads connecting to the printers etc. The iPad actually doesn't really function in offline mode and reconnecting during a busy service is a real pain. Not sure what this question is about? We just use this as a POS. It's easier to train new servers with than our old system. Hello and thanks for your review! We're so glad you find the system easy to use, especially for new hires. We're also continuously looking to improve our response to call time and hope to continue to improve in this area moving forward. Thanks for taking the time to leave us a review and if you have any questions, please don't hesitate to reach out to your dedicated account manager. Have a great holiday season! "Not a trusted customer service "
Sometimes they don't know anything. I asked for the menus to reprogram and Briana did half of the job after I had to send her 10 emails 5 phone calls until today 2 month started she didn't fix it!!!! Asking to add customer nome on the check? Briana who started the account didn't help me!!!!! Thank you for your review! It's customers like you that continue to help us grow and improve. We're sorry to hear your calls / emails haven't always been returned. We can assure you, our customers are our top priority and we will work hard to ensure we improve our communications moving forward. Please feel free to reach out to our 24/7/365 support line at support@breadcrumb.com who will also be able to help escalate your calls. If you could also respond to this message with your name and restaurant name, I am happy to find out who your account manager is and ensure they reach out to you immediately. Thanks for your review and I hope we can get your questions answered as soon as possible. "The product is easy to use and robust. " Item searchability is one of my favorite features for staff. The reporting mechanisms are also excellent for management and offsite monitoring. It is easily programmable and provides great in depth information on demand. I would like a more robust phone app for management purposes. I would like to be able to access and edit items from my phone on the fly without having to use a web browser. Tracking and reporting for alcohol sales is very easy with this system. Hello there - We appreciate you taking the time to leave us a review! It's great to hear that item searchability is a favorite feature and that your staff is also utilizing the tool. It's our goal to help restaurants succeed and exceed guest expectations, and this part of our reporting is a helpful way to make the experience that much better for your guests as well as your staff. We have noted your feedback regarding our mobile app and will pass this information along to our product team. We're always looking for customer feedback to continue to develop our products. Thanks again for taking the time to leave a review and have a great holiday season. Ease of use, very fast. Ability to track sales and product mix over an extended time period (weeks, months, etc.) Also, many upgrades have fixed things I have found dissatisfying in the past. Occasionally the server will go out, which can be frustrating and inhibit quality service. Due to the fast paced nature of our counter-service style operation, I enjoy how fast the app works. Hi Daniel - Thank you for leaving us a review. It's nice to hear that your experience with Breadcrumb has been one that's easy to use and fast, an important part of keeping up with your restaurant operations. We understand that there is some frustration when the server goes down and it slows down your system. We will continue to ensure that this type of feedback is brought back to our product team to review and improve the product. Thanks again for your review and have a great holiday! Streamlined service that is very easy to use and the customer service is extremely quick and efficient at finding the solution to the problem! Struggling to find anything that we disliked. "Average. It works decent. I have been content. " Simple interface. Easy to use for everyone. New people get it fast. Very little to do beyond a simple POS. Offline mode is terrible. I just stop using the system and turn to cash only creating many headaches. Simple POS that is affordable. It works and that's it. Hi Felipe! Thank you for your review. It's customers like you that help us continue to grow and improve. We're glad you enjoy the interface of the Breadcrumb POS. If you ever have more questions on how to utilize our product , please reach out to your dedicated account manager, Allison, who will be happy to schedule a time with you. Allison has shared that she has left you a voicemail and has sent you an email to find a time to hear more about your experience. We also have 24x7x365 support team who is available to answer your questions. Thank you! Ease of use. Ability to make changes without a specialist involved. App information and integration with Upserve. Intermentent sevice, down time, difficulty in getting Simone to come in to our restaurant to see the problem. Compiling daily information, seeing all property data, fast payment time. Thank you so much for your feedback. We’re happy to hear you find Breadcrumb POS by Upserve easy to use and very intuitive. We’re also glad you’re enjoying Upserve’s ability to unlock valuable data from your POS system. I see that our support team was able to address the intermittent drops in service with one of your partners, but please don’t hesitate to reach out to our support team if you continue to experience any issues at all. "Good, but not for me"
At my restaurant, we felt that breadcrum would be a better fit for places that do most of their business with takeout orders. In addition, the system would freeze or work extremely slowly on a weekly/biweekly basis, which is extremely inconvenient when the restaurant is packed. Think about the structure of your business. If it is primarily take-out/not a sit down restaurant, this system may be right for you. Although my restaurant is not 100% satisfied with the new system we have, it is nice to have a system that is more compatible for the kind of business we generate. However, it would be nice to have a system that works as simple as Breadcrum did. For management purposes also, Breadcrum offered detailed sales summaries that our new system lacks. This is beneficial at the end of shifts when calculating tips, tip outs, and pay outs. Hi there - Thank you so much for leaving us a review. We're happy to hear the table map and ordering systems have helped you streamline your front-of-house and back-of-house operations. We're sorry to hear that you've experienced times when the system has been down and functioning at a slower pace, but we appreciate the feedback as we are continuously working to improve the ease-of-use of our product. We're glad you're able to use the sales summaries and if you have any other questions, please don't hesitate to reach out to your dedicated account manager. Thanks for your review and happy holidays! Inability to read server's average ticket per day vs per week in a glance. I have more issues than solutions regarding breadcrumb. I believe with Upserve, it may be resolved. We have an appointment with Upserve next week to discuss the issues and solutions. We hope to get the benefits then. Hi and thanks for leaving us a review. It's great to hear your servers find the system easy to use and that it provides quick data when you need it most. We also appreciate you letting us know some of the issues you have, so we can work to improve the system. It's great to hear you have a call with our team this week to discuss the opportunity to use Upserve, to help you navigate all of the valuable data you collect on a day-to-day basis. We can assure you that our customers are our top priority and we strive to ensure that you are making the most out of our products to help your business grow. Thanks again for your review! User friendly and good Support. Tracking is great. Theft, tracking and reporting issues have improved. iPad based POS. Simple interface, tied into CC payments for real data analysis. Really wish they'd follow through with QBO interface. Now if they'd also interface with my payroll... true vertical integration. Wouldn't that be nice? Make see you have fast enough internet. If possible keep or make sure you have wired back up in case your wifi goes down. POS costs are out of control. This solves that. Our system was under 3k vs 10+ for more traditional POS providers like Micros. Real time access from anywhere you have internet isn't bad either. Hi there, thanks for leaving us a review. We appreciate the feedback as we're always looking to improve and develop our product. We'll take your comments and bring them to our product team who is takes all requests into careful consideration. We're happy to hear we've helped save money while also giving you access to your business at all times. Have a happy holiday and we look forward to our continued partnership. Easy to use product. Short learning curve. It is still a relatively new product so it does have some quirks. The way it was first developed didn't allow for a total restaurant sale to be generated so instead of logging in an individual, we logged on as one person. It solves the problem, however. there is no accountability for each user. Updates along the way changed how reports were made and continuity of my books are a mess. Hi there - thank you for leaving us a review! It's great to hear you find the product easy to use and you were quick to pick up on how the system works. The product has definitely evolved since we acquired Breadcrumb, and I would highly recommend you reach out to your dedicated account manager who can help walk you through some new features, specifically when it comes to logging in different users. We are also able to help streamline your reports so they're easy to pull and easy to read. Hoping to hear from you and we look forward to our continued partnership! That it saves the credit card numbers when working offline and can email receipts from the home page. Hi there and thank you for leaving us a review. We're happy to hear you find offline mode a beneficial feature to our product as well as the ability to email receipts. These are all parts of the product we're continuing to improve and grow. We also appreciate your candid feedback regarding the modification of items and will continue to try and streamline these processes for our customers. If you have any questions, your dedicated account manager is available via email and phone, along with our 24x7x365 support lines. Thanks again for your review and have a good holiday season. "POS provider for over 1 year"
Intuitive, ease of use. Staff loved it compared to Aloha, which we used previously. Back office was also much easier to add items, make changes as compared to Aloha. Intermittent lack in service. Also, many of the times it was down for servicing was on peak days, which made little sense. Also, the inability to separate revenue centers as we would have liked. Use it! Especially for a 1 store business. Very intuitive, easy to use. Ease of use. Easily make changes to menu, add items, etc. Hi there - Thanks for leaving us a review! Your feedback is greatly appreciated as we continue to grow and improve. We understand you've experienced some issues during peak time periods and want to ensure our team is doing what they can to mitigate these issues. With that said, we're happy to hear the positive feedback regarding the system as a whole, being intuitive and easy to use and hope we can continue to uphold this standard. We appreciate your willingness to recommend our product and encourage you to continue to use your dedicated account manager as a resource for any questions you have regarding the system! Thanks and have a great holiday season. "Breadcrumb is an adaptive POS system with a focus specifically on restaurant management." That it was a POS specifically designed for restaurants. All features are not available yet. Ex. Direct access to download to quick books online and excel. Utilize the Install help to completely upload menu information. The reporting feature and metrics allow for a lot of insight into the business. Hi there - Thank you for taking the time to leave us a review. We're happy to hear that you're able to utilize our reporting to provide you insight into your business. It's so important that you have access to this information so you can use it to streamline operations and exceed your guest expectations. Please feel free to reach out to your dedicated manager as new features roll out. Thanks again and enjoy the holiday season! The system is user friendly and easy to program. Mark, thank you for your positive review! We're glad to have customers like you supporting and promoting our POS solution. We put tremendous consideration into making Breadcrumb user friendly and intuitive, and it's always a pleasure to hear from our restauranteurs that they've taken note. That being said, there is always more to learn. If you'd like to schedule a training session with your dedicated account manager, John, feel free to reach out to him directly and we can make sure you're getting all the value you can out of the system. Thanks again! "It has been positive, user friendly"
It is simple and very user friendly. It is easy to train all of our staff including management. I wish I could delete things instead of just "archive"
We love the ability of offline mode! it has saved us from pen and paper messes a few times. Hi there - Thank you for leaving us a review online. Your feedback is greatly appreciated! We're happy to hear that you find Breadcrumb easy to use and helpful when it comes to training and managing your staff. We hear you regarding the inability to delete, and will keep our product team posted on this idea as we're always looking to improve the product. Thanks again for taking the time to leave us a review and we hope you have a great holiday season. "I manage a couple restaurant using Breadcrumb POS system." The actual POS operation is very intuitive. Great for full service restaurant. - Customer service is hard to reach. - Gift card option is very expensive and financial feasible for small business. - Menu editing navigation is not fluent enough. Great for tracking financial information. Hello and thanks for leaving us a review. Your feedback is important to us as it helps us improve and update our product to benefit your business. We're glad to hear you find the system intuitive and great for the full service restaurant segment. We also understand that you have had a hard time reaching our support team, have run into some difficulties with finding the right gift card vendors, and that there are some issues with our menu editing functions. Your account is our priority and we want to ensure you're in touch with your dedicated account manager, who will be happy to walk through any questions you have. Please know that they are there to support you and ensure that you are getting the most out of Breadcrumb. Thanks for your review and we hope you continue to see the insights you need to help grow your bottom line. Have a great holiday season! Very easy to use! Time clock is a nice feature. Reporting is extensive, especially if you have upserve as your processor. Beings everything is wireless, we do see some disruptions every now and again. We aren't loosing tockets, saving our staff time and footsteps. Hey Jackson, We just wanted to say thank you for your review. We really appreciate the feedback, and we are glad you are finding great value in the reporting. As your account manager Bobby mentioned, if you subscribe to status.breadcrumb.com, you will be notified of the reason that you might be having connectivity issues. But once again, we want to say thank you for your continued support, and we hope we can do more of the same for you. "We are very happy with the ease of use of breadcrumb." Customer service, seems like no direct dedicated BC help line. Just to make sure the future of this product is secure with the Upserve buyout etc. Inventory, easy to keep track of. We're glad the system has helped you track inventory more efficiently and are continuing to improve the product. Thanks for leaving us a review and we hope you have a great holiday season. How ease and practical the use of Breadcrumb is. All the bugs and crashes that happen pretty often. We use it as a POS system and one of the benefits is the cost that we pay for the use of the software. Ease of use, simple understanding, reports. We are a small brewery taproom and not having the ability to have employees handle their own tabs as well as being able to add to or close other tabs. Hi Bill, Thank you for taking the time to leave a review and I’m glad you find the navigation and backend features easy to use. Your account manager, Bobby, spoke with you recently and he let me know you mentioned how you would like the ability for checks to remain open for other employees. This is definitely something we can suggest to our product team, as a means of reconciling reporting. Again, thanks for your time, and we look forward to working with you in the future. System goes down frequently (have had comcast our internet provider out several time but the signal strength does not seem to be the issue). Poor follow up on product and updates. Hello and thank you for leaving us a review! It's great to hear you enjoy the cost and ease-of-use that you experience with Breadcrumb. We appreciate the feedback and are constantly looking to improve the product, so please don't hesitate to reach out to your dedicated account manager if you run into issues or have ideas on how to ensure you continue exceeding your guest experience. We will also make sure our communication improves so you know when we're updating the product. Thanks again for your time and have a great holiday season. "A necessary tool just like every other Pos "
Clock in. Ring up. Charge customers. Clock out. Hard to transfer tabs to other employees. Inventory control. Time clock control. "Fantastic-great reports and easy to use"
Ease of use. From set up to daily usage. Working without solid data. We are now able to utilize our POS as a business tool. Hi there - Thanks for leaving us a review, we appreciate you taking the time to do so. We're happy to hear you find the product easy to use and that you can use it on a daily basis. We can also make sure that you know exactly how to split checks as it's a very useful tool. Please reach out to your dedicated account manager or we have a 24x7x365 support team that can also be available. Overall, thank you for your feedback as it helps us continue to look at new ways to innovate our product. Please reach out to your dedicated account manager or we have a 24x7x365 support team that can also be available. Have a great holiday season! Breadcrumb is a great POS for any bar/restaurant. The ability to start tabs that hold credit card info is great, as many folks don't like giving their card! Having the option of visual and list open tabs is nice. I'm a fan. I wish there was a "To-go tab classification option. Being able to switch open tabs to different servers is helpful. "Excellent service and flexible to my business needs "
The reporting is excellent and the service is great. Hi there - Thanks for leaving us a review! Your feedback is greatly appreciated as we continue to grow and improve. We are happy to hear you enjoy the flexibility to add or remove products and that you are making the most of our reporting functionality. We also hear that you have run into some issues with the screen flows which cannot be modified. This type of feedback is helpful as we're always looking to bring this type of information to our product team who is always on the lookout for innovative ways to improve the product. So thank you! If you have any questions, please don't hesitate to reach out to your account manager or our 24x7x365 support line. Thanks again and have a good holiday season! Simple, easy to use interface. Intuitive access to reports. Our administrative offices are off site - provides good access to shared info. Hi there - Thank you so much for your review. We're glad you're enjoying our product and that it's been easy for you to use while also being intuitive and resourceful. We are always looking for customer feedback to continue to improve and develop our product. Please continue to let us know how we're doing! Have a great holiday season and thanks again for your review. "Overall very happy with Breadcrumb"
Quick ease of use, very intuitive. Automatic updates. Great backend. You cannot split a single item over 2 checks. We're able to transport our terminals b/w types of service (fast-casual & full-service). Hello - Thank you for your review! It's customers like you that continue to help us grow. In terms of splitting checks, please reach out to your dedicated account manager who would be happy to walk through the process. In addition, we're happy to hear you find the product easy to use and intuitive, while also being able to be flexible with where you place your terminals. If you have any questions at all, we're here to listen and our support team is also available 24x7x365 for any technical issues you may have. Thanks again for your review and we look forward to working with you. Happy holidays! * We monitor all Breadcrumb Restaurant POS reviews to prevent fraudulent reviews and keep review quality high. We do not post reviews by company employees or direct competitors. Validated reviews require the user to submit a screenshot of the product containing their user ID, in order to verify a user is an actual user of the product.